Jammu and Kashmir State Power Development Corporation recruitment admit card will be releasedd. A Total of 173 Posts were announced, out of which, 90 Posts are for Jr. Engineer (Civil), while the remaining posts are distributed for various other categories of posts, which includes, Jr. Engineers (Other streams), Jr. Assistant, Draftsman etc. JKSPDC has also released the Admit Cards for these Exams scheduled to start from 18th June, 2018. 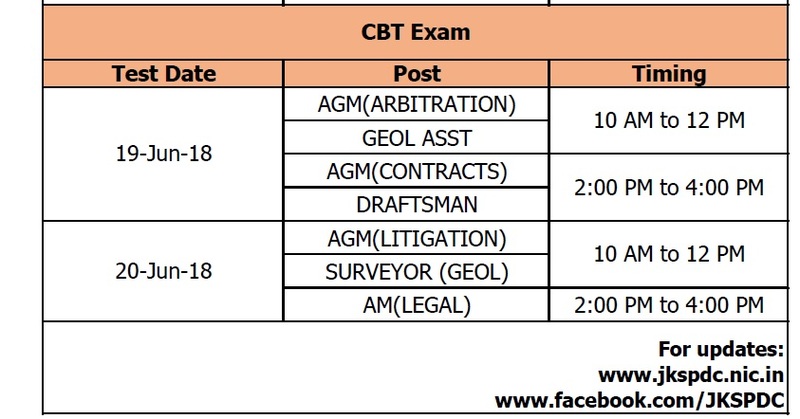 JKSPDC is conducting the Exam through CBT, as well as Pen Paper Mode. 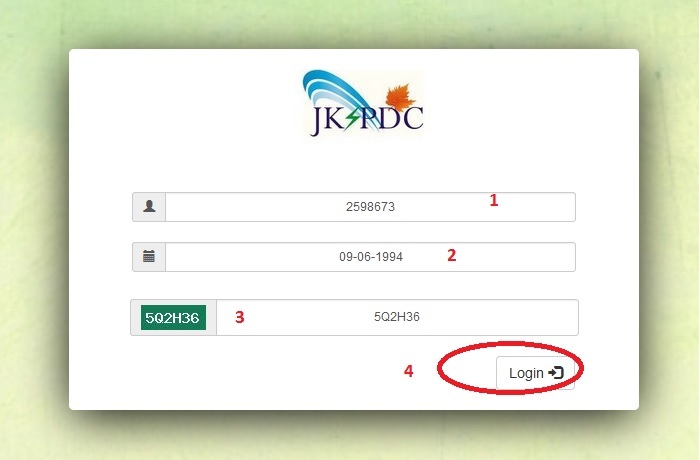 Step 1 : Go to the JKSPDC Official website, click on “Admit Download” tab in home page. Step 2 : Next page will be opened, Enter the following details and get your admit card. Step 3 : On the next page, your admit card will be displayed. Step 4 : On the top right corner, click the “Print” icon and take a color printout of the admit card. Step 5 : Log out from the Admit Card Portal. a. Registration Number of all candidates has been made available on the JKSPDC website. b. No change whatsoever shall be allowed in the Admit Card Details under any circumstances. c. No requests for change of centre shall be entertained. As per the Official JKSPDC JE Syllabus, you are supposed to have decent reasoning and knowledge of Current affairs and General Knowledge.